The most important question members are asking as they make up their minds who to vote for in this selection is who can win for Labour in 2014. I am clear about what we need to do, and why I am the candidate we need to win. To win back Tower Hamlets council in 2014 we must win back the trust of the people of Tower Hamlets. In 2010, when we lost the mayoral election, many people chose to stay at home rather than vote. They were annoyed with a mayoral system they didn’t like and alienated by a party that had turned in on itself. The Labour Party looked like we were more interested in fighting our internal battles than fighting for the people of Tower Hamlets. To win again, we have to acknowledge that we made mistakes. The Labour Party isn’t entitled to win elections in Tower Hamlets. Too often, we go out thinking that if we put on a red rosette and knock on enough doors, we’ll win. That’s wrong. We have to have the humility and the grace to listen. We will win again if we listen to those people, in Labour Party meetings, on school gates, in children’s centres, on street corners, in trade union branch meetings, outside Friday prayers, in churches synagogues and temples, in the community centres and voluntary sector organisations that change lives every day. We have to knock on doors, and we have to go to where people already congregate and build together a policy plan that will create our shared future. When we have acknowledged our own mistakes, when we have listened to local people and built a policy platform collectively – then we can ask for votes at an election. We need to demonstrate that we have learnt from our mistakes, and moved on. I am the candidate that can personify that change. 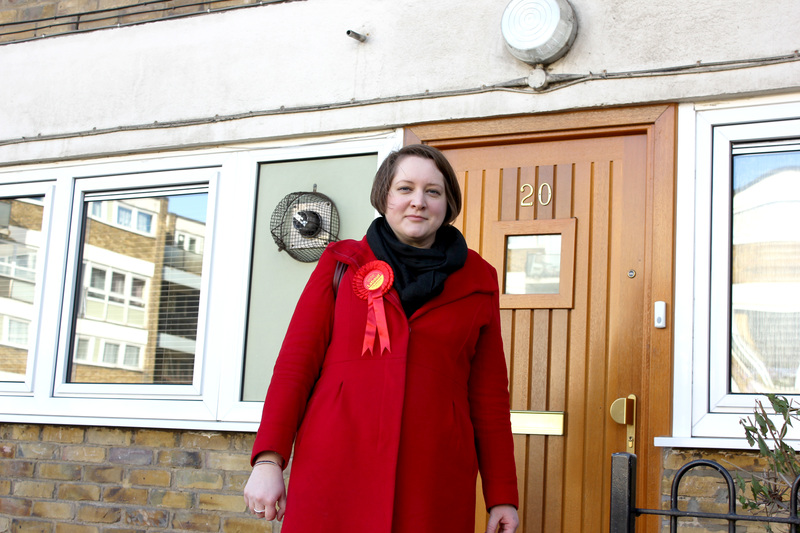 I’ve worked for the Labour Party, and knocked on doors in countless elections. I’ve been the organiser in a key seat for a general election. (We won). I know how to mobilise volunteers and activists and I’ve never shirked a leaflet round. My own ward has consistently had the highest Voter ID rates across the borough since I was elected. When I first came to Mile End East it was a marginal ward, where in 2006 Respect had won a seat. In my by election in 2008 I got 48% of the vote in a four party race. Following the 2010 elections, Mile End East is the strongest Labour seat in Tower Hamlets. The way you do politics determines the nature of the change you are able to make. Our strength in Tower Hamlets is the diversity of the skills, knowledge, experiences, ideas that our people bring, through the many different routes that brought us here to the east end. We will win in 2014 because we have united as a party and because we have built trust across the diverse communities of our borough. I hope you can vote for me on April 6th, and join me in the campaign to move Tower Hamlets forward.